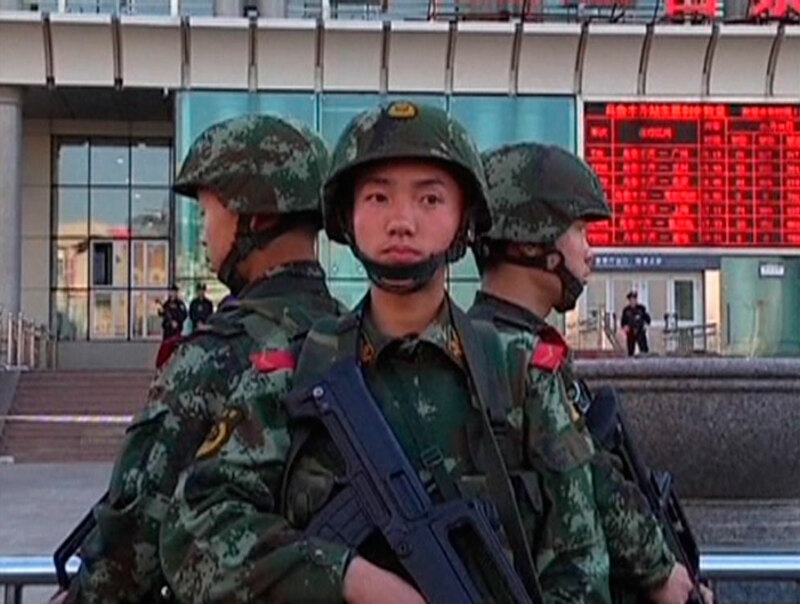 Paramilitary policemen stand guard near the exit of the South Railway Station, where three people were killed and 79 wounded in a bomb and knife attack on Wednesday. 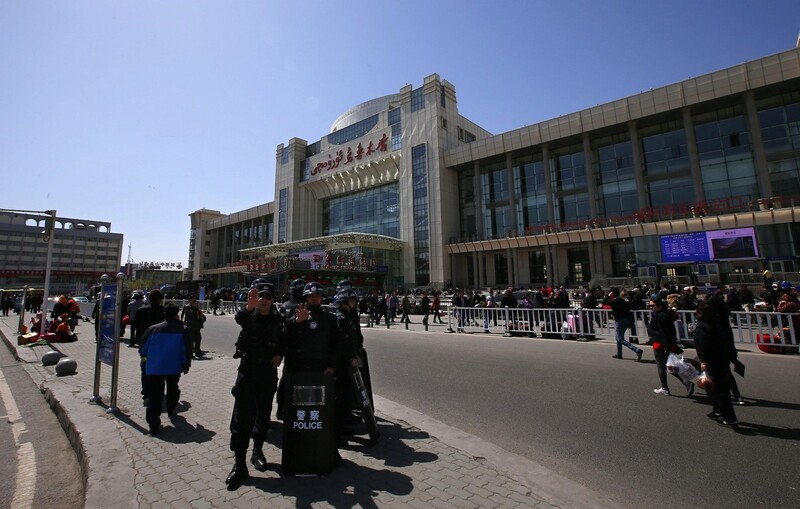 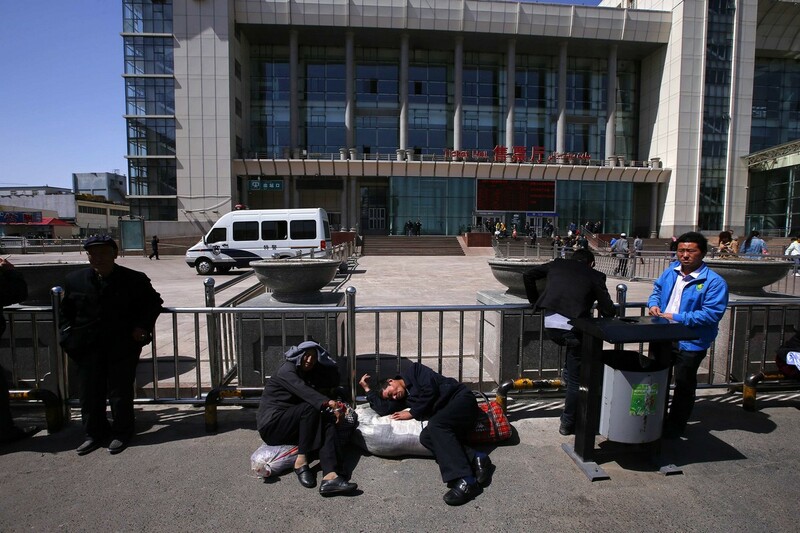 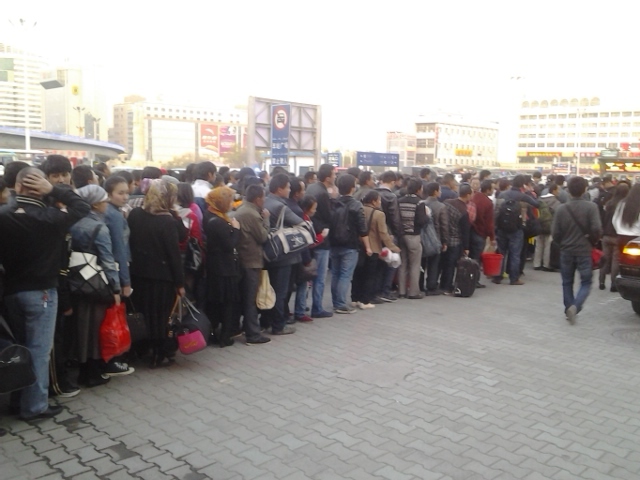 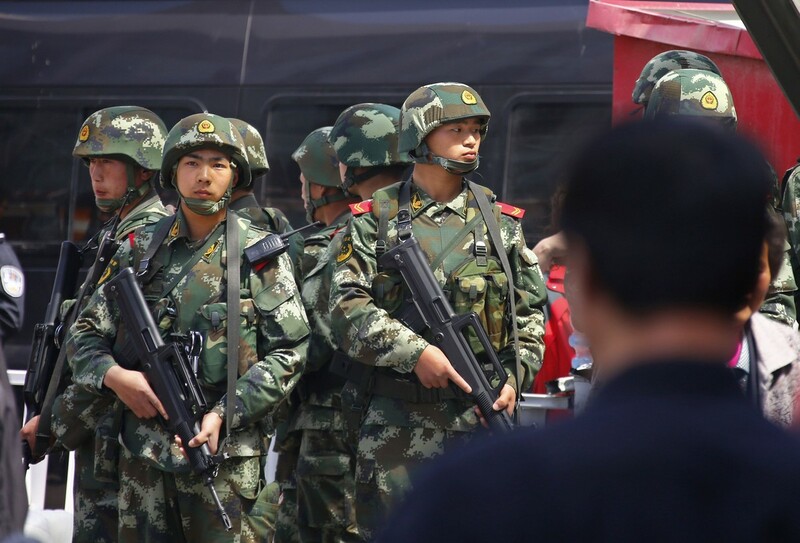 URUMQI, China - Chinese President Xi Jinping has pledged "resolute measures" following a suspected terror attack involving knives and explosives outside the largest railway station in Urumqi, capital of the restive Xinjiang region. 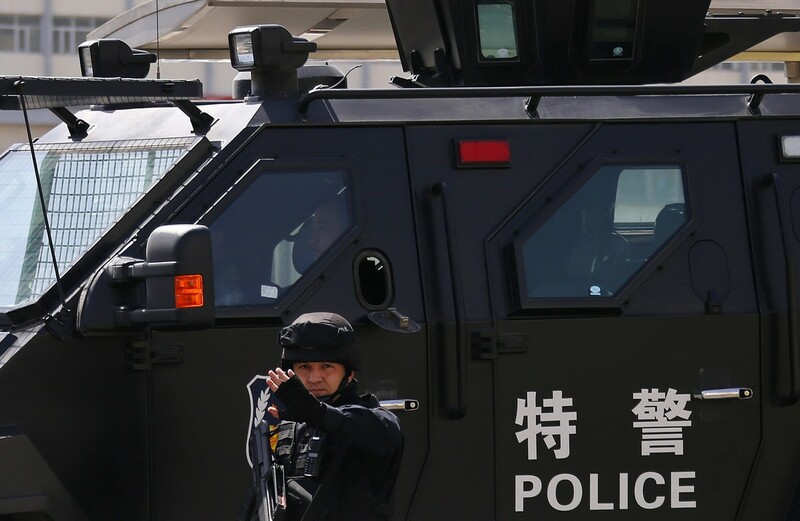 Mr Xi, who was wrapping up his security-focused four-day inspection tour to the region when the apparent suicide bombing happened, called the terrorists "audacious". 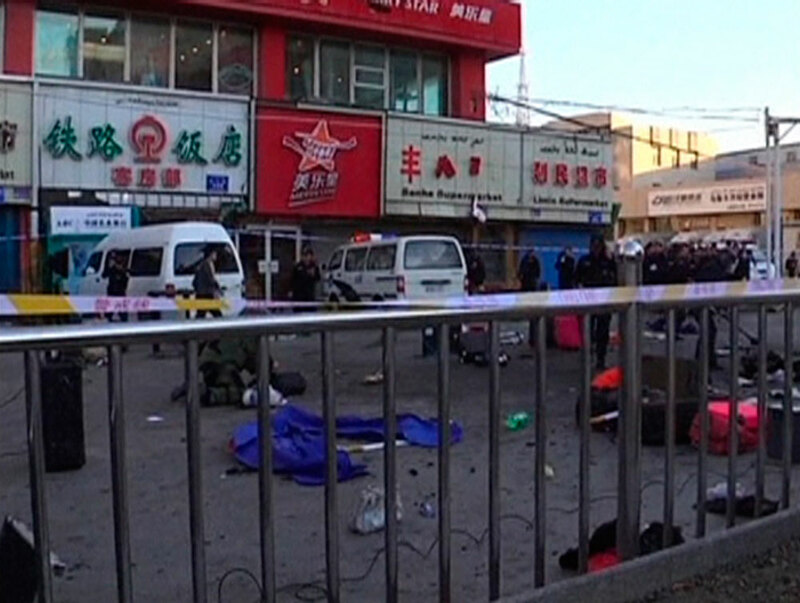 At least three people died and 79 were injured on Wednesday when assailants attacked people with knives and set off explosions. 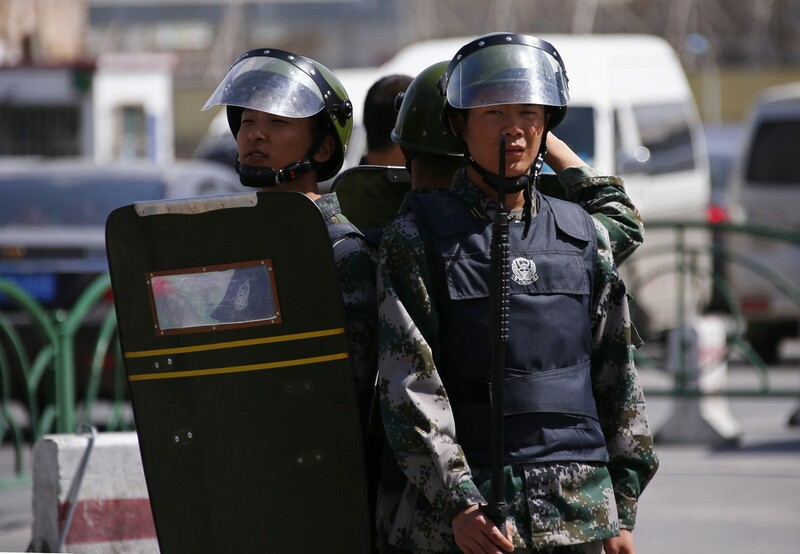 The number of assailants is unclear although Xinhua News Agency said two of them were killed after setting off explosives. 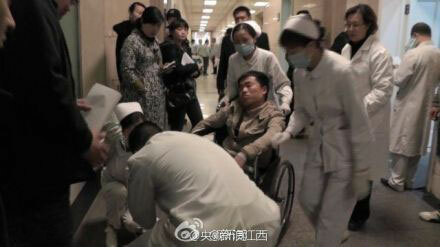 The third person was a bystander. 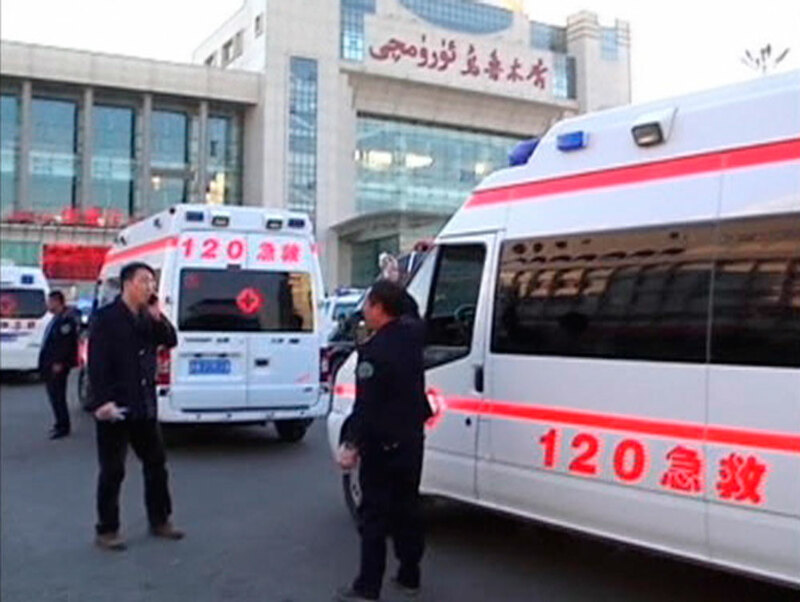 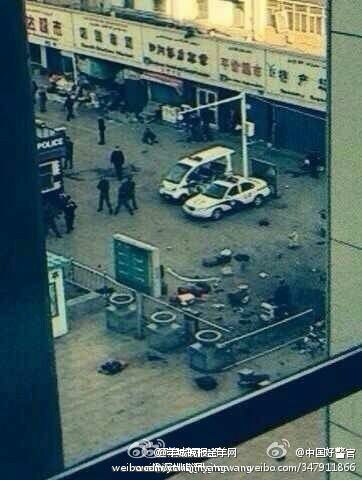 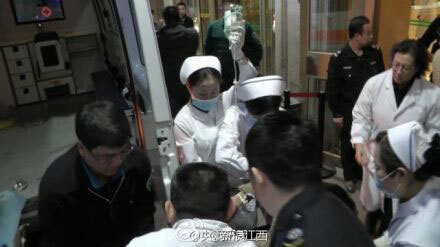 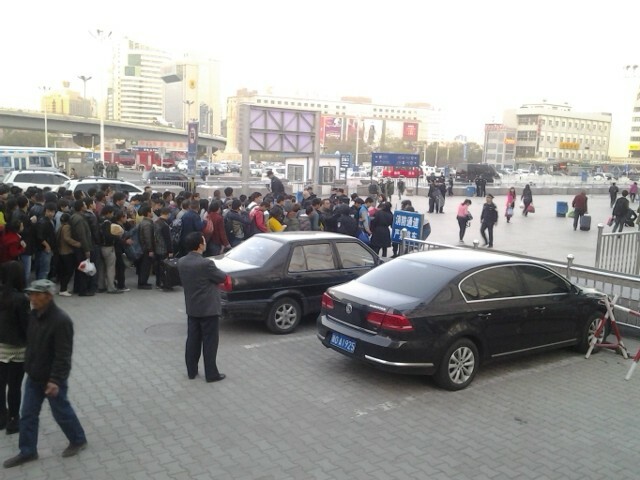 Xinhua said one of the suspects was Sedirdin Sawut, 39, from Aksu in southern Xinjiang. 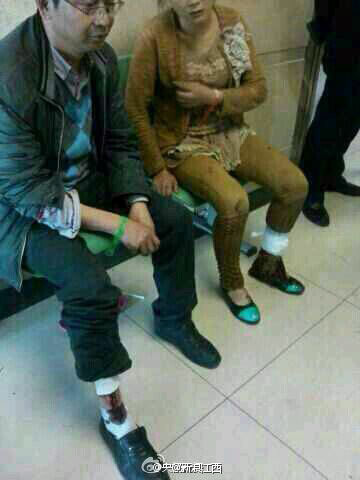 The duo had long been involved in religious extremism, it added. 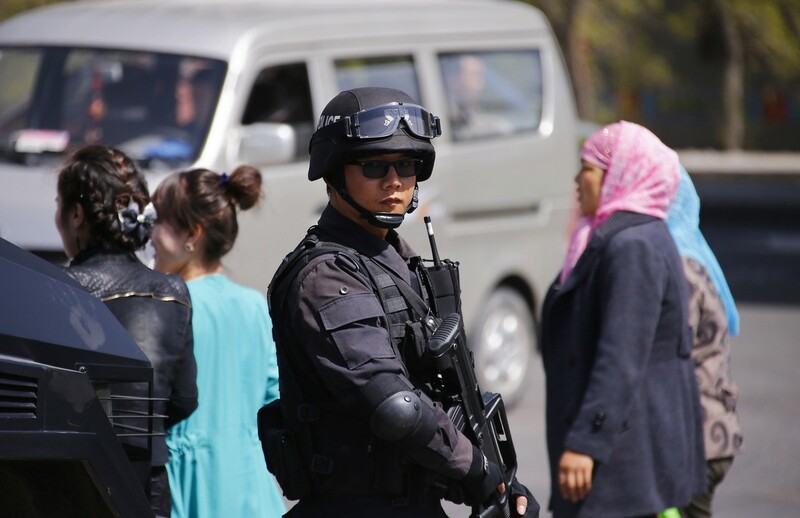 In another Xinhua report yesterday, Mr Xi said the battle to combat violence and terrorism will not slacken, adding: "Decisive actions must be taken to resolutely suppress the terrorists' rampant momentum." 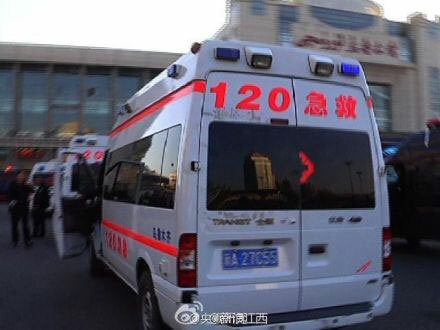 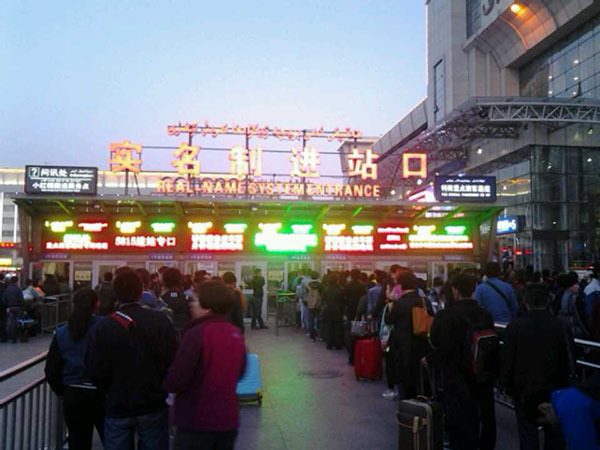 It comes two months after a bloody knife attack at a railway station in south-western Kunming city on March 1 that left 29 people dead, and after an incident last October when three people crashed a car near Tiananmen Square in what was described as a suicide attack. 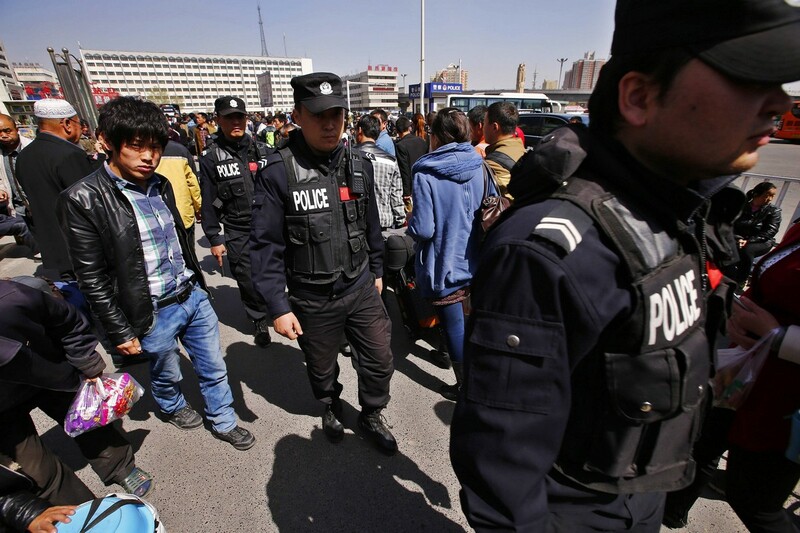 Beijing blames the violence on separatists from Xinjiang's mainly Muslim Uighur minority. 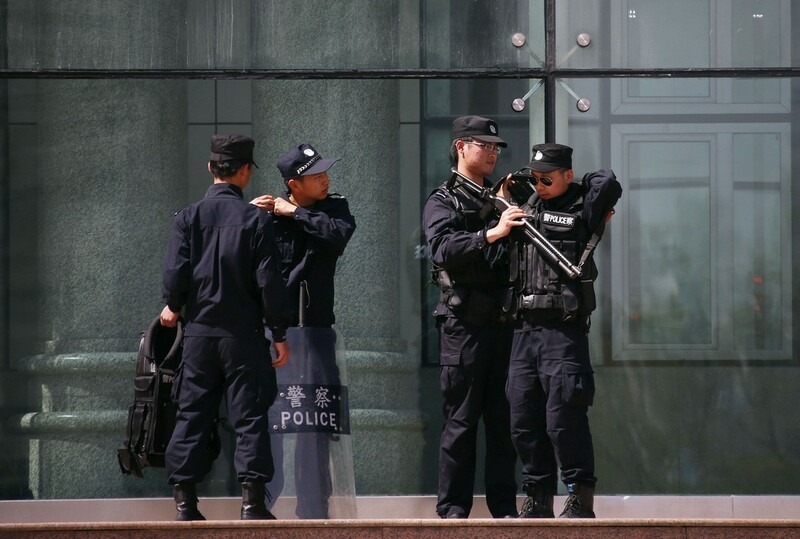 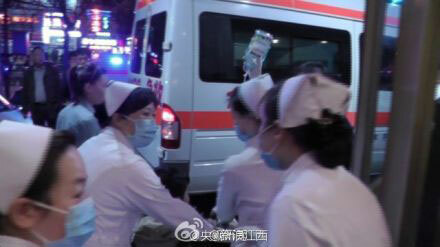 While investigations are still ongoing, the timing of the attack sends a signal of "clear defiance" to Beijing, said experts. 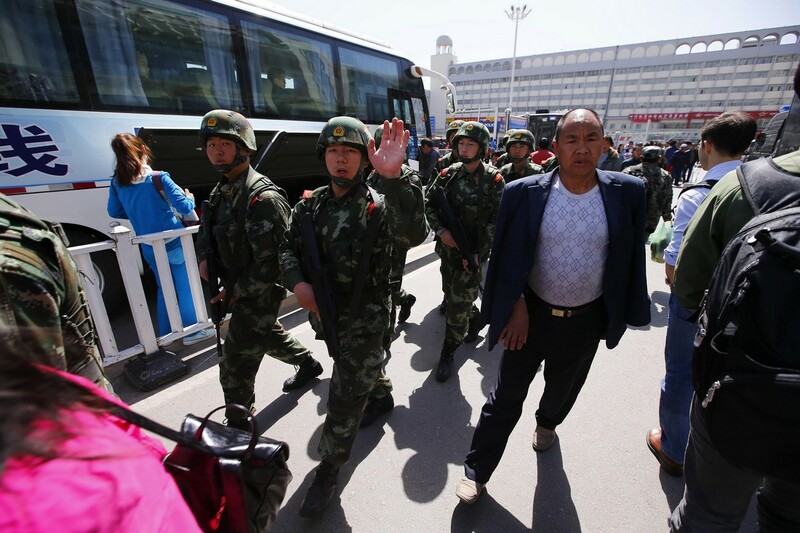 "Since the Urumqi riots in 2009, there hasn't been a major violent incident in the city, so the timing of the attack, when Mr Xi was on tour in Xinjiang, is very significant," said terrorism expert Yang Shu of Lanzhou University. 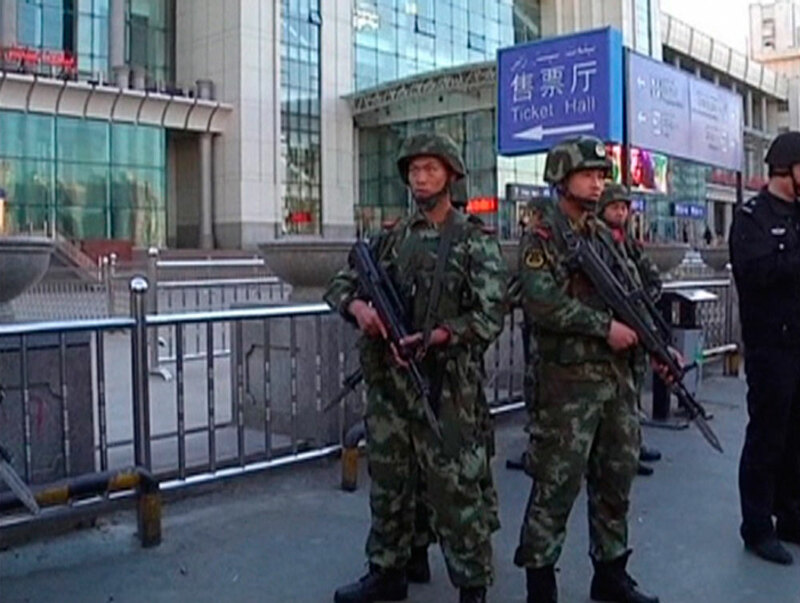 "The attackers want to demonstrate their power and capability in carrying out attacks." 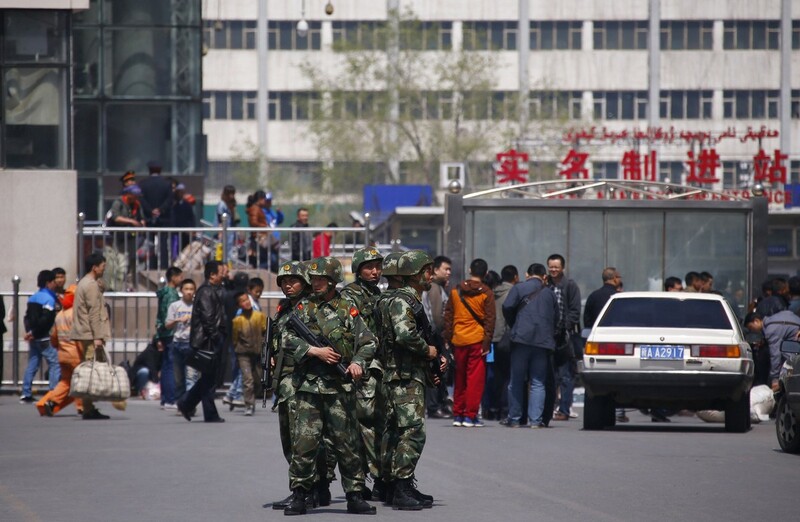 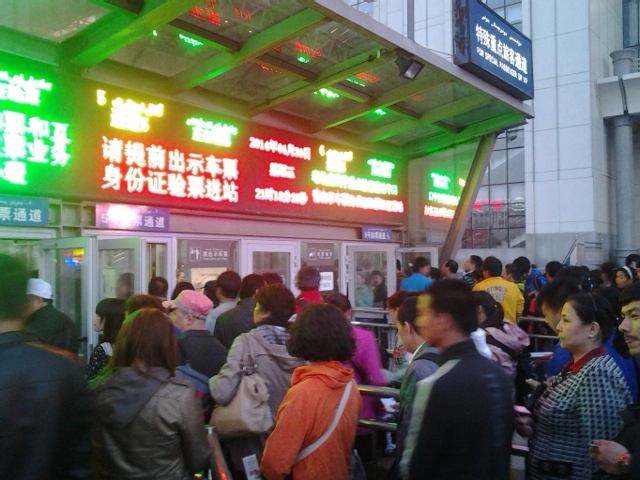 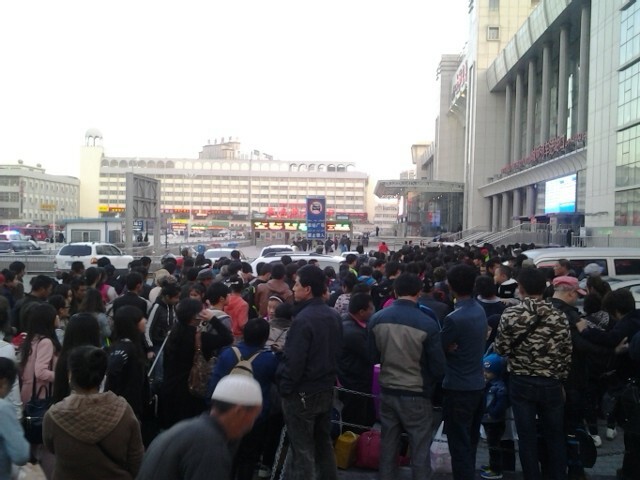 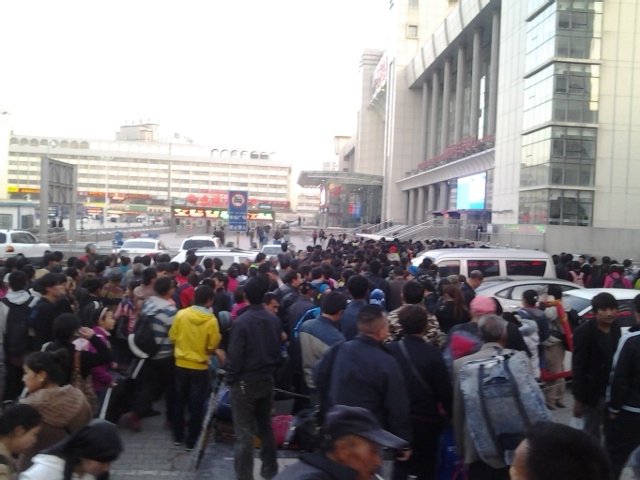 Almost 200 people were killed in Urumqi in the July 2009 riots.